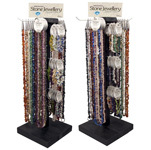 Versatile chip necklaces are a must have jewellery item. 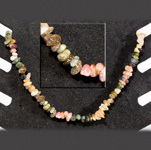 Semi-precious stone gem chip necklaces are also great for looping around the wrist as a bracelet. 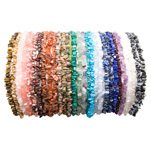 Choose based on colour or the unique healing properties of each stone. 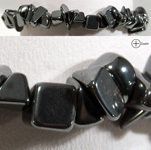 Hematite is polished oxide of iron and is heavily distributed in rocks and soils. It is colored black to steel or silver-gray, brown to reddish brown, or red. 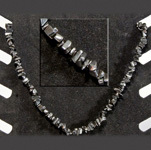 Hematite usually precipitates out of water and collects in layers at the bottom of lakes, springs or other standing waters. Usually when it occurs in the absence of water it is the result of volcanic activity. 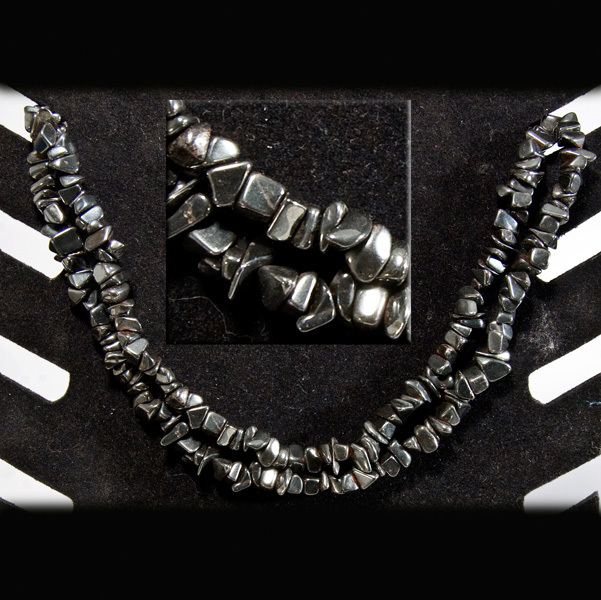 Hematite is known as a stone for the mind . 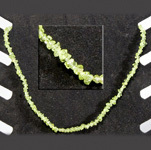 It brings mental organization and is very grounding and calming. It helps with original and logical thinking and decreases negativity. Use it to help balance the body/mind/spirit. Physically it has been used to keep the body cool, to decrease blood disorders, nervous problems and insomnia.